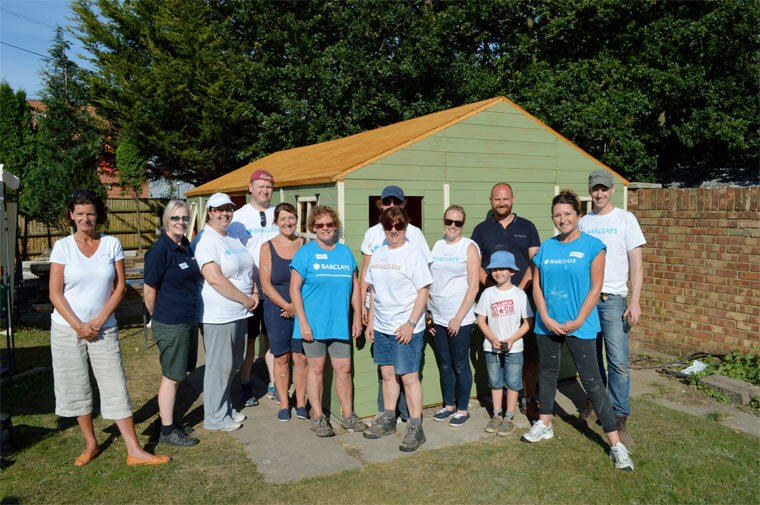 Diverse Abilities, Dorset’s disability charity, has thanked Barclays HR Operations department which fundraised and purchased a summer house, then built and painted it for one of the charity’s supported living properties. Barclays HR Operations department chose Diverse Abilities as charity of the year and as part of their commitment, they fundraised £921.89 through bake sales and plant sales. This was then match-funded by Barclays, raising a total of £1843.78. The summer house is for three adults with disabilities that live in one of the charity’s supported living bungalows and will be used as a social space where they can carry out activities such as arts, crafts, planting and pottery. They volunteers also bought tables and shelves to go inside. Diverse Abilities is always looking to recruit volunteers who would like to get involved with various future projects. If this is something you, or your company would be interested in, please contact Sarah Harrison on 01202 718266 or email sarah.harrison@diverseabilities.org.uk if you would like to get involved. For further information about Diverse Abilities, please visit www.diverseabilities.org.uk or call 01202 718266.